FREE Home Market Evaluation of your home! We've put together search pages for nearly every community we serve in Northwest Indiana! Search homes in the listed Northwest Indiana communities by clicking on the links below. We have the experience to get your Home Sold! If you are planning to list your Home, we would be honored to assist you. If you are considering a move give us a call. We would be happy to guide you in buying your new home. We have been selling homes for 25 years in Northwest Indiana and Chicagoland. Our office, RE/MAX Realty Associates, is located in Munster, Indiana. We service residential and commercial real estate within an hour of Munster. If you are looking to buy or sell a home in one of the areas listed above, we can assist you. When you hire us, you get our expertise in selling your home and in buying a home as well. 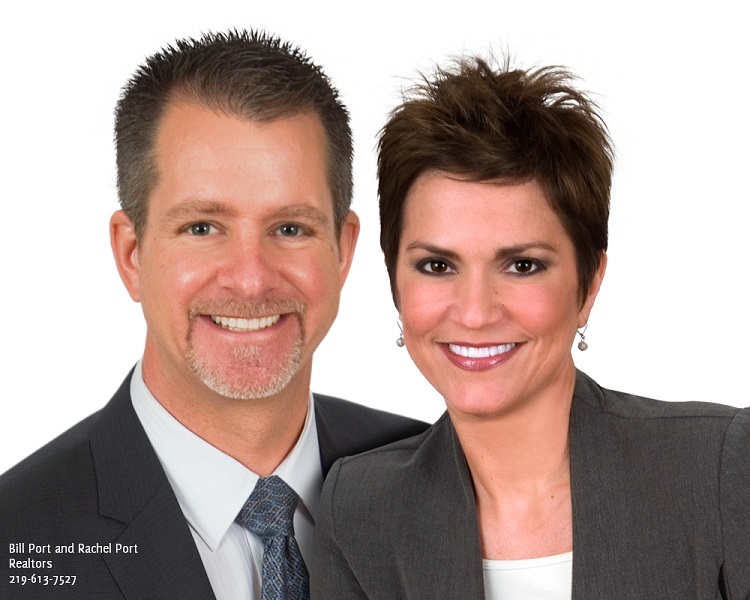 Our Team, The Bill and Rachel Port Team, is the Number One Top Producing RE/MAX Team in Northwest Indiana. We run a team of for licensed real estate agents who are the best in the real estate industry. When you are considering buying or selling outside of Northwest Indiana or Chicagoland, we can gladly guide you to a highly trained and caring agent anywhere in the USA. Our goal is to have you trust in us for all your real estate needs. If we have helped you buy or sell a home, please write us a review!